I was not getting a lot of hands-on experience cooking fish, but living on my own was putting preparing food more squarely on my shoulders. 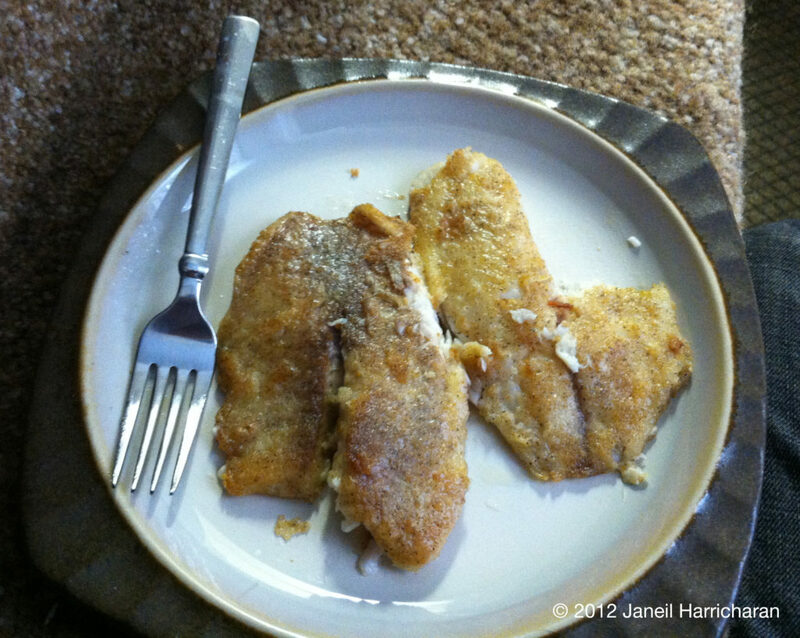 One afternoon I finally got an almost perfect mix of breaded, pan-fried tilapia. Flavored with paprika, pepper and salt, I absolutely loved this, considering the last time I attempted this as a disaster. As I’m moving out of my place next week after graduation day, this will probably be one of the last big meals I’m cooking here unless I can top this off with something else.